Running can be hard work, especially a long run. But you can find ease in running—if you know where and how to look. If you need to slow down a bit to get this, that’s perfectly okay. Find the ease as your head balances at the top of your spine. You’ll prevent unnecessary neck, back, and leg pain and tension. Problem: Do you tend to look down at the ground right in front of your feet? If yes, you’re probably pulling your head forward and down. You may notice that the back of your neck feels compressed after a run. We all want to avoid tripping over rocks or uneven pavement or (worse!) stepping in poop, but staring at the ground right in front of your feet doesn’t give you enough time to adjust. Solution: Try sending your gaze a little farther out. If there is a rock—or anything else—in your path, you’ll have more time to spot it and avoid it. Problem: Do you tend to stick your chin out in order to see farther ahead? If so, you’re probably pulling your head back and down. Again, you may notice that the back of your neck feels compressed after a run. Solution: Try to keep your gaze level. E also stands for eyes. Problem: If you wear glasses or contact lenses when you run, are you pulling your head forward and down or back and down to find your visual “sweet spot”? Solution: Get your specs or contacts checked and adjusted if necessary. You shouldn’t have to compromise your neck and your spine—which actually are one and the same—for the sake of a good run. Find the ease in how your arms and legs work in coordination. Right leg moves forward as left arm swings back. Left leg moves forward as right arm swings back. Find the ease in the engine of your breath, the fuel you need to run. Problem: Are you pulling your head forward or back and down? Either one interferes with your breathing. Also, if you’re gulping air through your mouth, you’re going too fast. Solution: Slow down enough that your breathing reflex can take over. We automatically inhale as much air as our bodies need at any given moment, so it’s much better not to interfere with the breathing process. Allowing air to enter through your nostrils and exhaling through your mouth is much more efficient. Remember that ease isn’t a position that you have to hold. Holding only causes tension. Ease is the opposite of holding. Give your unconscious mind and your body permission to make whatever tiny adjustments are necessary to maintain a feeling of ease. Finding ease does take some practice, but eventually you’ll develop your own mental checklist of spots where you might hold tension. The more you practice, the more you’ll develop your tension-detecting and ease-releasing powers! 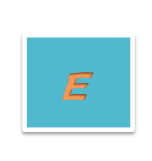 E can stand for a lot of other things: energy, efficiency, excellence. I’m sure you have your own ideas.